Armed with excellent debate skills, Boniface is a terrific public speaker. He is very hardworking and knows the importance of education. However, as he was unable to pay his school fees, Boniface was forced to miss two years of school. During those two years away from education, he worked very hard as a casual laborer on farms and managed to save enough money to put himself back in school. Boniface is from a very humble family. When his father passed away, his mother had no choice but to have the older kids work to help her sustain the family. 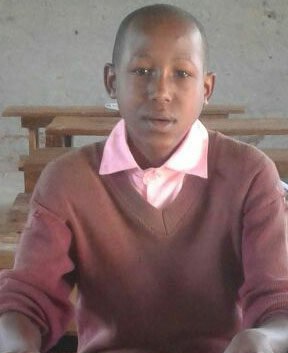 Boniface knows very well that doing well in school will help him get his family out of poverty. However, given his ongoing struggles to pay his school fees, he fears that he won’t be able to stay in secondary school. He has a strong desire to see what is beyond his village. He believes he will be an important person in society one day, and this belief keeps his financial fears at bay. He knows the key to realizing his dreams is education. Your sponsorship can put an end to his worries.